Brinner : Mail Monday - Win a Halloween surprise! That's right guys! Instead of sharing mail I've sent out last week, I am doing a Halloween themed mail giveaway instead! Woohoo! Let's start with the actual prize and the instructions on how to participate are below. 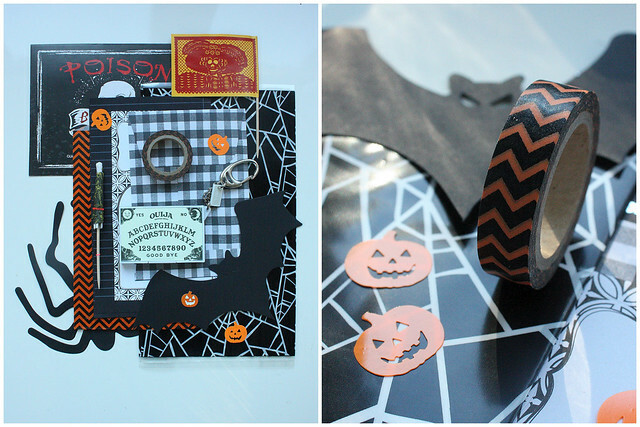 I've put together a large package of all sorts of Halloween goodies! 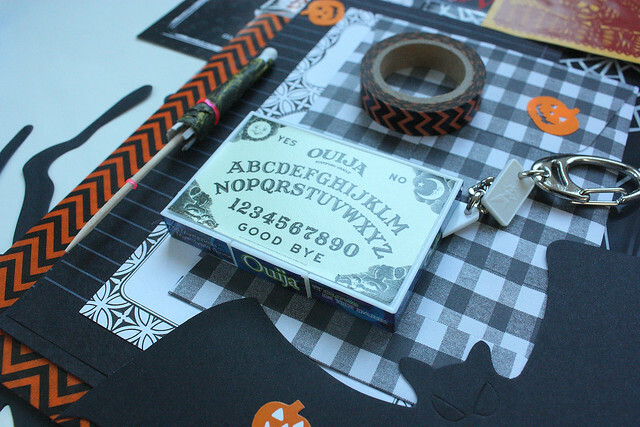 Since I love sending out mail, you will get a whole bunch of Halloween themed stationery as well as some other Halloween awesomeness. You can enter this giveaway in four ways, each giving you one entry! Leave a message to this post about a great Halloween costume! It can be something amazing you've worn or seen someone else wear. It can be something you'd like to wear if you got the chance. It can be an idea for a kids costume or a couples costume or a phenomenal group costume! It can be about any kind of a costume, but let's keep the stories positive! This giveaway is open to everyone, anywhere in the world. I will draw the winner of the prize at random, but please put some effort into your answer. I will reward at least one great costume-related story with an additional small Halloween snailmail surprise! Entries to this giveaway will close on midnight on Sunday October 19th. Good luck everyone! I'm really looking forward to hearing your costume stories! OOOOH!! :O *starting brain activity and fantasy..* Since I already wore my absolute favorite outfit once, that I planned for nearly two years (Edward Scissorhands - pic here: http://maryihmemaassa.files.wordpress.com/2012/10/edwardscissorhands.jpg?w=584 And I actually won best outfit that year! *proudest moment ever*) my next outfit would probably also be something Tim Burton has created. Beetlejuice maybe? That would be madness! :D Yess! Beetlejuice it is! When I was a child we didn't celebrate Halloween in Spain. Now the children do. We usually made a special dress for Carnival. One year (I was about 7) some children decided to dress up and go for a walk in the night. One of us hadn't any costume, so he dressed up like an aged woman, with his great-grandma clothes. We visited some neighbours in order to get sweets or money (so like in Halloween). One of those old women still thinks that our friend was a real old woman!! We also dressed up around Carnival, but I never was that creative - like every kiddo, I went as a witch, an alien, a native american (I'm not sure whether this is common in North America, but over here it's one of the standard costumes actually), a princess, a ghost... those things. I don't have any super great costume stories but I always loved spicing up my sport outfits to create a costume. I've done a ton of different sports so I've been a vampire cheerleader, zombie tennis player etc.